The last day of 2006 is here, I pray that the next year all your dreams come true. Here is the guy on the right. Supposedly the hottest NAIJA MEN'S WEAR DESIGNER in NAIJA. "Pioneering menswear designer Emmy Collins has responded to popular demand for his cutting edge clothingwith the opening of an emporium in Lagos, Nigeria. The shop will feature his latest fashion collection,Spring/Summer 2006 at 43 Awolowo Road, Ikoyi Lagos and represents Emmy’s first venture in retailing hisdesigns directly to a fashion hungry public.Emmy Collins is an up and coming designer who is leaving his mark on the global fashion industry. Based in London, UK, he is fast gaining a reputation for sharp tailoring and a refreshing, flamboyant use of colour. Hisdesigns are made for men who know exactly what they want to wear and wear their clothes with confidence,grace and pride." 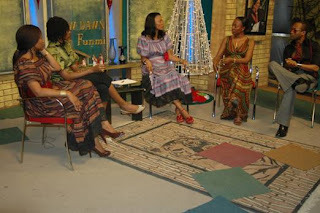 Well on the funmi IYANDA SHOW today they had a fashion show here are the pics from the show. 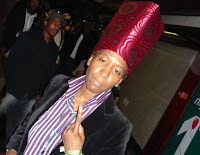 I learned two things EMMY COLLINS is a cool Naija Bloke who designs with class for the Naija and African MAN. The second thing I learned is that Lanre loves designing vintage style clothes. Well done. 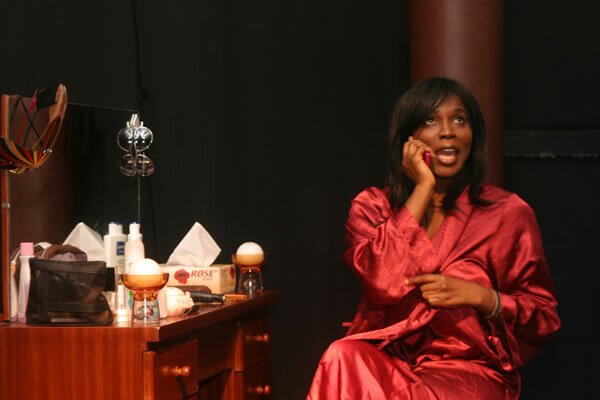 Kudos to everyone FUNMI'S show rocks although in honesty it needs more audience participation. Think Oprah, Think Tyra. Any thoughts? 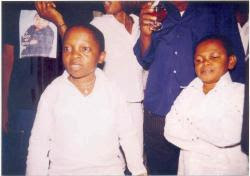 NAIJAGAL in this nollywood clip is not interested in dancing! Love it! quick question readers do you buy your nollywood movies online? Post your comments we want to know. The film, looking at African entrepreneurship, offers a 'tour of the continent' covering different countries, showing businesses large and small, and featuring a mix of industries. 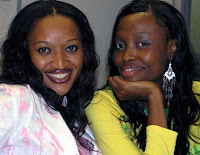 Ify and francisca from Big brother Nigeria looking hot hot hot!! What are you up to this christmas day? I am rocking my new hairdo and living it up! 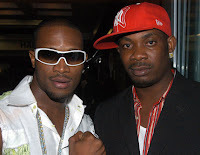 His royal hotness DBANJ AND DON JAZZY! DEM DON COME AGAIN O! What do you think? 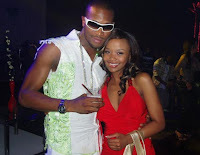 I guess the best music star by far this year was dbanj? Thoughts anyone? and of course one of the latest film releases called DHOOM 2. HERE IS THE SCENE THAT SPARKED A LAWSUIT FOR A KISS??? AISHWARYA AND HRITHIK! I started blogging for fun now we have been blogging for almost six months. As the year ends I want to thank each and everyone for reading NAIJAGAL. Here is the video once again in case you never saw it. What do you think? Are you feeling the music? Starting with REINE from South Africa! What do you think about her designs? BOY SHE LOOKS SO HOT! She also talks about how life has been for the past two years since her husband passed away. GOSH I LOVE THIS MOVIE ! WILL SMITH AND HIS SON ARE SO ADORABLE! HAVE YOU SEEN IT? YOU WILL BE INSPIRED BIG TIME! I KNOW I AM! 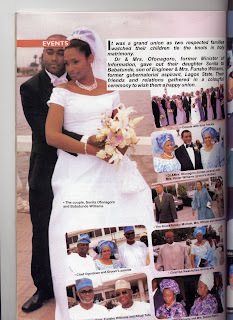 Congrats to AKI HERE SEEN WITH HIS LOVELY FIANCEE! The lovely couple congrats! AKI! 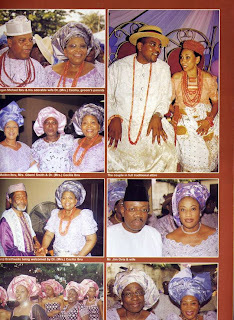 Nollywood's finest! gets engaged! What do you think of the lovely white party nice. HAPPY HARMATTAN SEASON! IT IS FRIDAY HAVE YOU SEEN FATHER CHRISTMAS YET? OR SANTA CLAUS WHATEVER THE PARTY SEASON HAS BEGUN IN NAIJA! CHECK THIS ONE OUT ELDEE LEAVING OFF TO YANKEE! NA SO! So what will you be having? Something to drink ? Well will be back in the mean time enjoy BIGLO!! THIS BOY HAS SKILLS! looking for a job in naija? Click here! I am not advice therapist so I decided to go ahead share this email I recieved with you my dear loyal readers! I am currently torn! you see I have a job i am not so crazy about, it pays ok but my manager is a pain! She is a micro manager to the core! She gives unreasonable deadlines! I try to explain to her but she would not listen and some times asks if I know what I am doing. Mind you I have over 8 years experience in the area I am working in, which is a complex part of technology. I have been recieveing recruiter calls that would pay $15k-20k more than what I make but I wanted to go back to school to try out another industry. What should I do should I take the new opportunity and wait once more? I just love this show! Toni you rocked! So how was your weekend! Sorry about not recieving the updates friday. 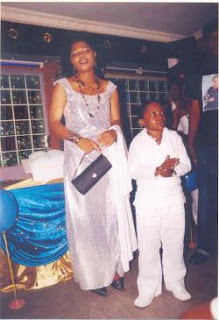 I will be doing so later on ...Damilola philips story will be up. I also have exciting news.. 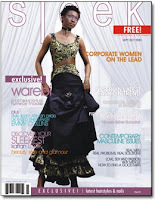 In the mean time check out this picture of sleek magazine from NAIJA have you viewed the magazine? What did you like about it? Handsome Seal in his GAP AD looking so cool! 5 stars! So what do you want for christmas? As seen in OK, Love is a great thing! what do you say? All hail the queen onyinye. The new face of Abuja. 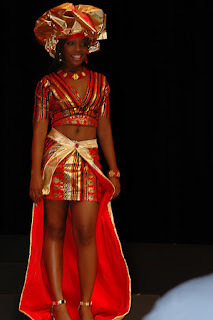 She will be representing Abuja at the Queen of the world contest in Germany! You go girl! In her words "I lost my dad to cancer. I want to educate people about cancer"
Can you say tres chic?? 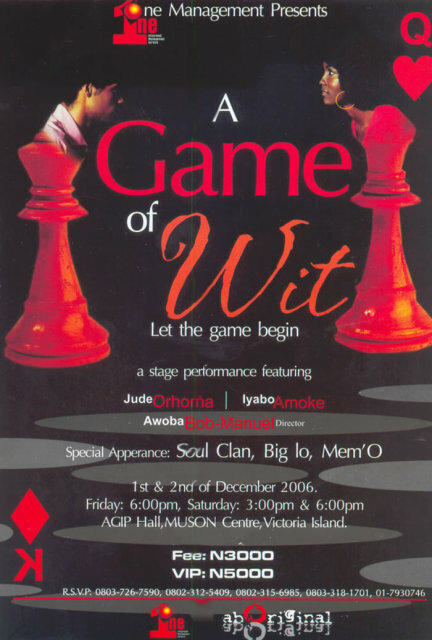 Apparently NIKE OSHINOWO was part of the act! Can we say nice! What do you think can broadway make it big in NAIJA like in NEWYORK? 1. Go to fashion school (this should only be a year program). 3. 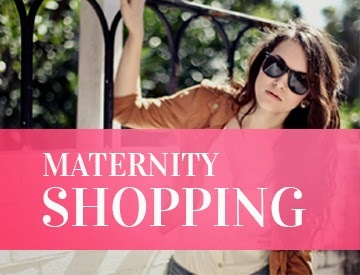 Start her own line via manufacturing process in china or other nations! Your thoughts? Toni Payne your comment is definitely desired here. Ok I have to say this. Estrella couture wowed the dc benefit tonite, fashion for world peace and world peace it was! Loved your couture! Lady! it was a cool show. You got a standing ovation. Why did you leave the show right away? Would have been nice to meet you. Keep up the good work, 5 stars from naijagal. oh how WE luv dbanj! With anger building up inside me, I wanted to say "Shola! Who gave you this?" Debo cannot do this to me. Well point of correction he just did. 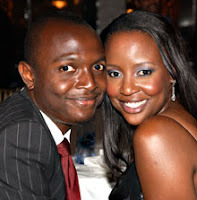 But instead, I forced a smile tossed the card and continued talking about Shola’s upcoming wedding. Boo oh how I hate that word! What does boo mean anyway? Bobo would have been better in my opinion. What did I see? How we met? Who are you kidding? Without thinking I clicked on the guest book column and furiously typed away. I sent the message and voila it showed up on their guest message board! Oloshi! Ashi! I did not even notice someone walk in till I heard the words. “What are you doing?” I winced to notice who just walked in. Oh my lord now what? LOVE THE 80S NAIJA COMMERCIALS SUPER BLUE OMO! HI DEAR NAIJAGAL!! WHAT IS GOING ON? 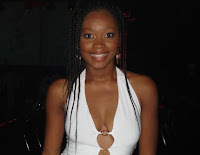 TONI PAYNE ON NIGERIA INTERNATIONAL! Seal celebrates GAP Holiday with in your hood! guess what is on major sale at target! $4.74!! !